This handmade shave soap provides a rich, creamy lather with a splash of lanolin and Vitamin E for added post-shave moisturizing. To spare your blade, this traditionally made hot process shave soap does not contain any clay and is made to fit into any mug for easy use. Mashmallow: This sweet toasted marshmallow really smells like spun sugar roasting over a fire. 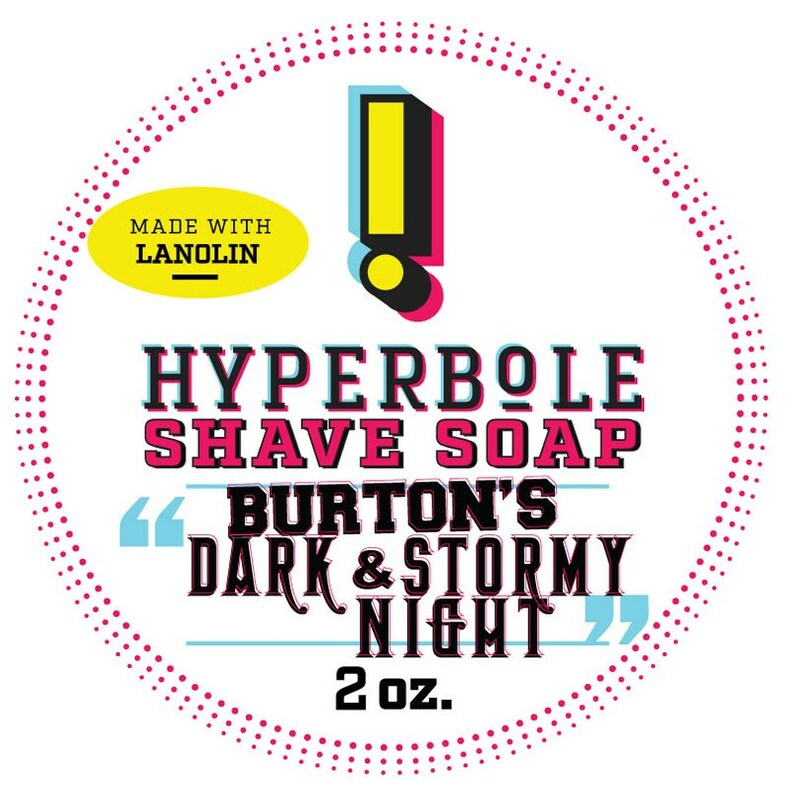 Burton's Dark & Stormy night: A lovely, rich blend of tobacco and rum. Energizer: A minty blend for an early morning wake up call. Burton's Dark & Stormy Night: A tobacco rum blend. Each listing is for one 1.25 oz (by weight) puck of shave soap. By volume it's just over 2 oz. About 1 in thick and 2 inches wide.